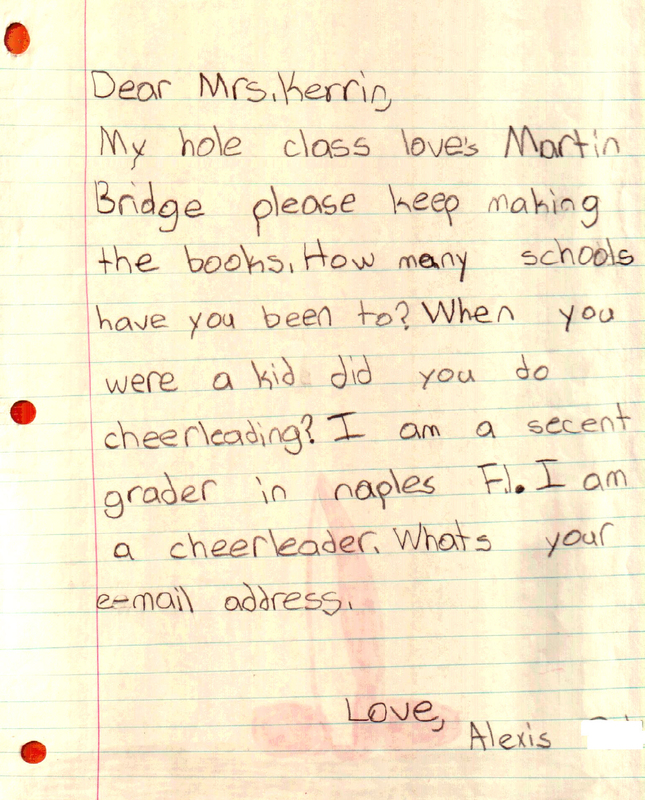 I’m very glad to learn that your entire Grade Two class likes Martin Bridge. I can tell that you must be an excellent cheer leader. 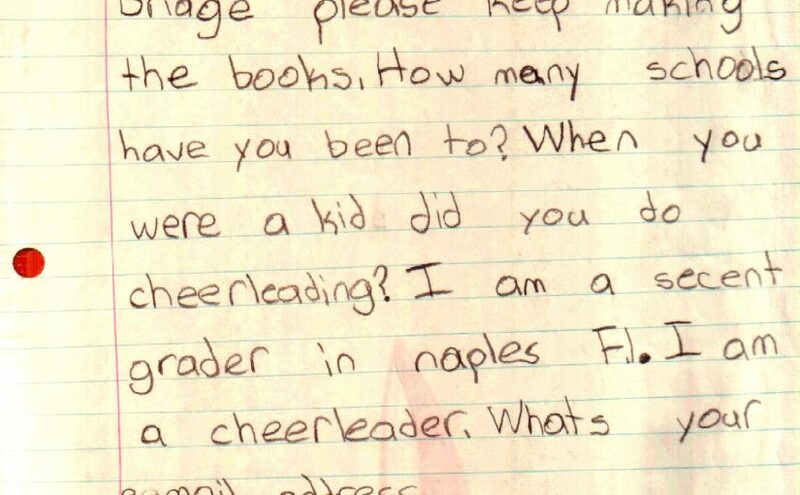 I never did cheer leading when I was little but my mom told me that she could always hear my voice overtop of everyone else’s at the playground!